This course opens the doors to a new world. 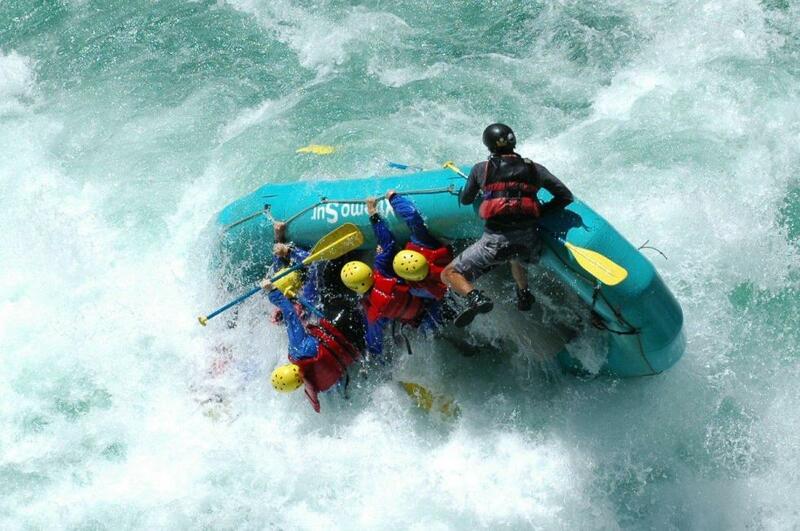 It is super intensive and gives solid instruction to rafters, with special emphasis on practice. 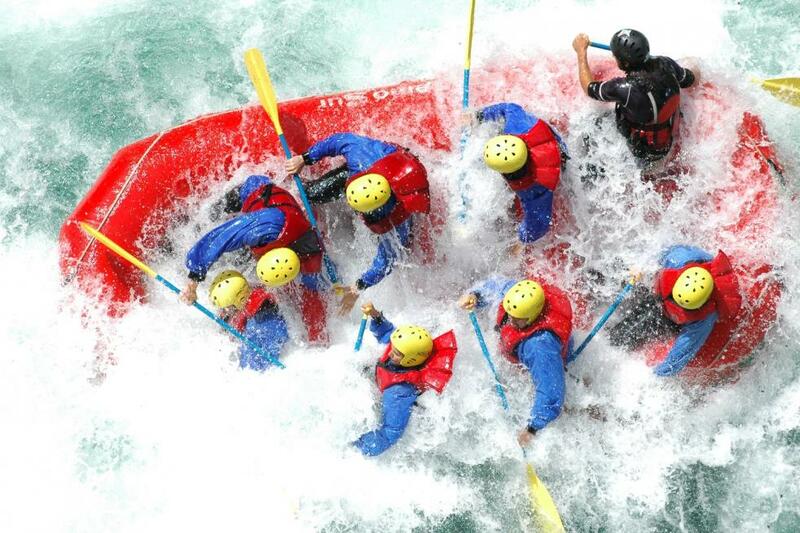 It consists of two compulsory modules: the Whitewater Rescue Course and the Rafting Course. 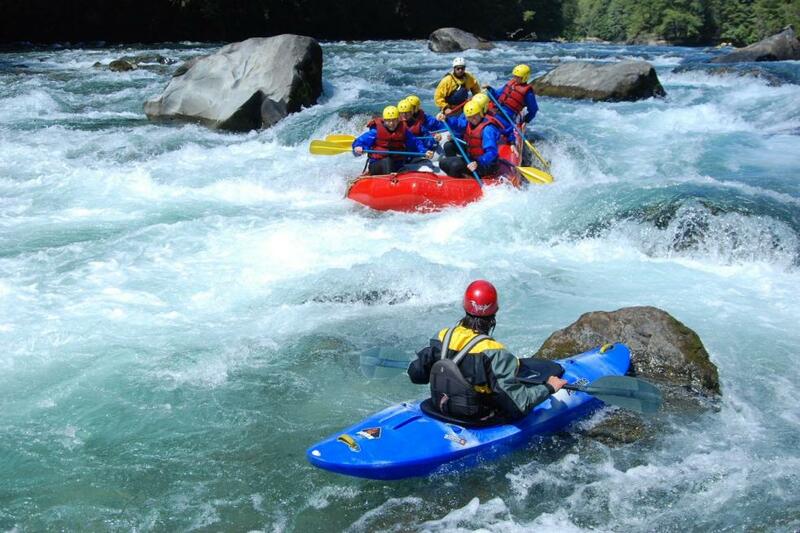 We will cover the following topics: safety talk, riding techniques with paddles and oars, commands, signals, crossing currents, ferry angles, entering and exiting eddies, preparing the boat, common situations and accidents in white waters, high-side, flip, boat maintenance and repair. In order to optimize the practice time, we will work in groups of up to 8 participants per instructor. 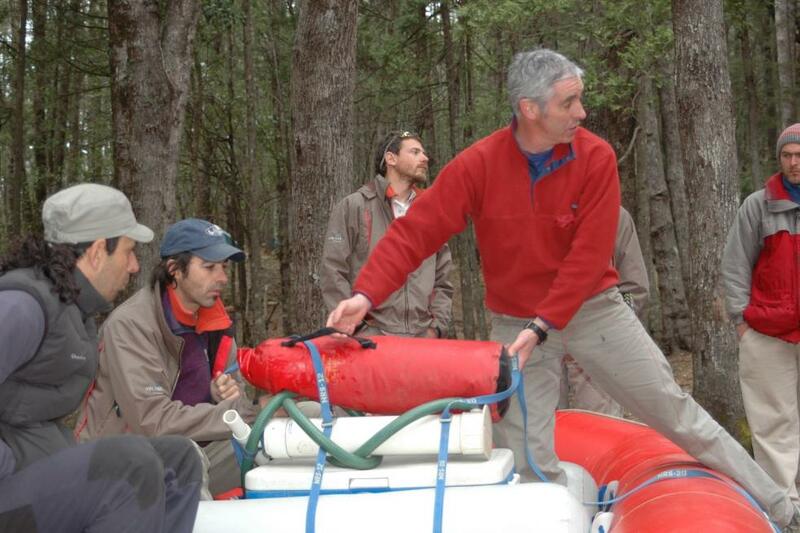 This course is audited by Prefectura Naval Argentina (Argentine Naval Prefecture) and is endorsed by Parques Nacionales (National Parks). 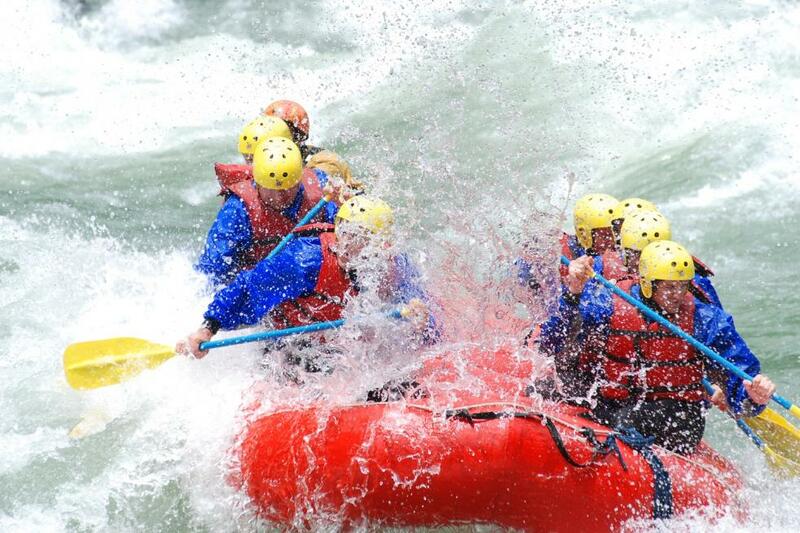 Participants must be prepared to get wet and swim in rapids. 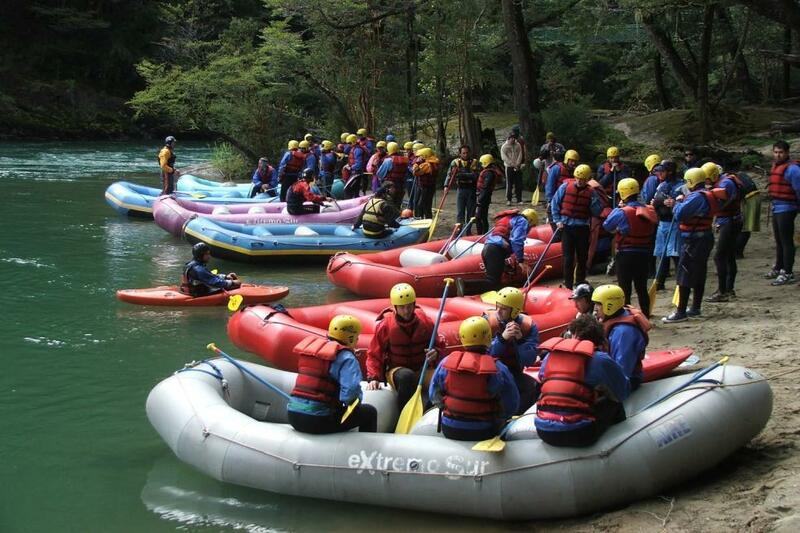 Therefore, they need the following equipment: neoprene or wet suit, neoprene boots with sole (or trainers with laces), neoprene, fleece or synthetic socks, 2 carabiners y and 4,5 meters of tubular webbing. 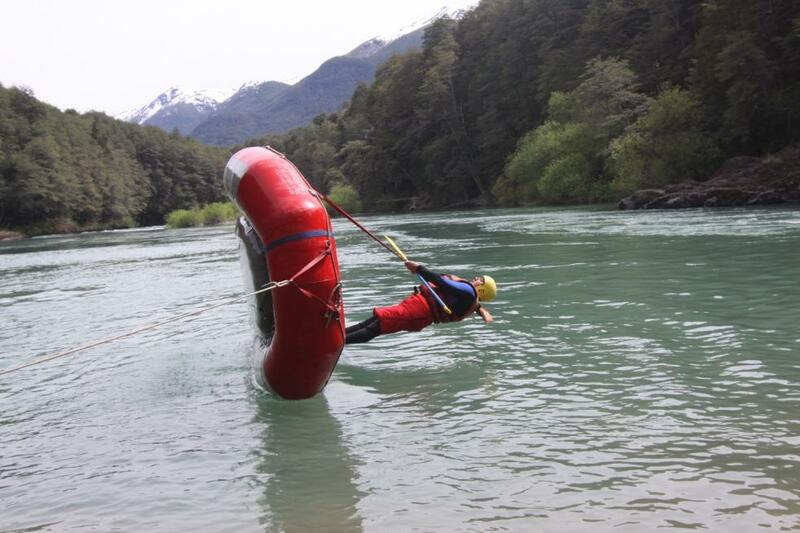 Extremo Sur will provide participants with: life vests, helmets, equipment for rescue techniques practice and rescue manual. If you do not have any pieces of equipment, you can hire them from us. 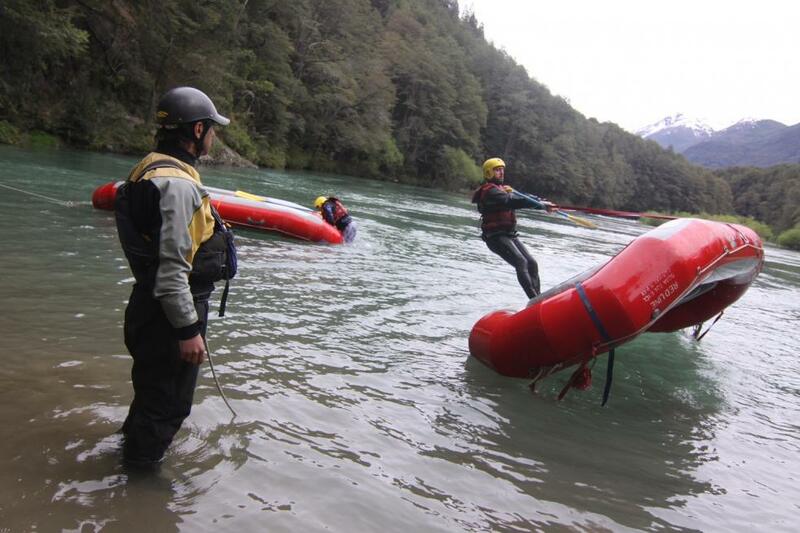 This course is given in the Manso and Limay Rivers, near Bariloche, but it can also be held in other places. 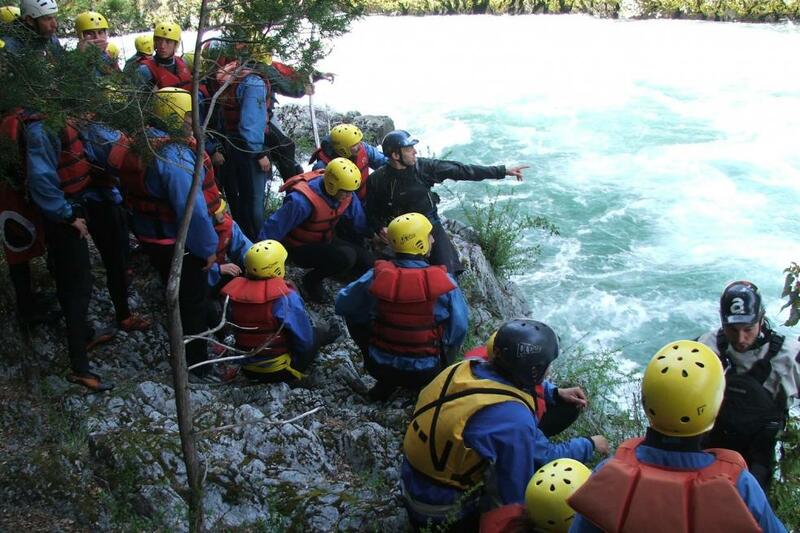 If the organization you work for wishes to receive training, we can deliver the courses at the place you choose. Please, contact us for further information. 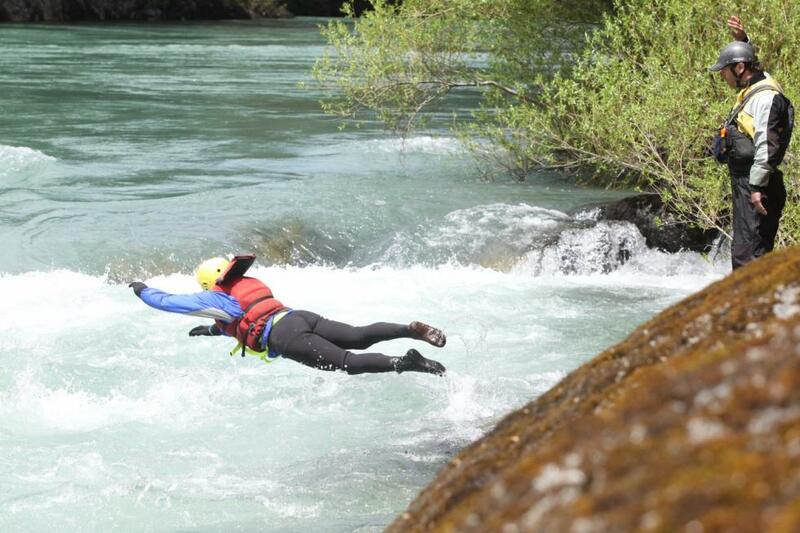 9 a.m.: Departure from Extremo Sur to the Limay River. 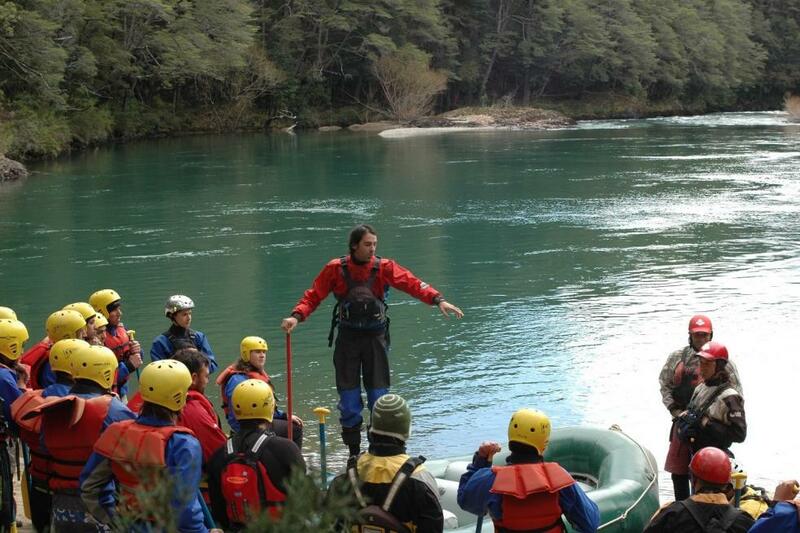 Safety talk and descent of the Limay River. Riding technique with paddles and oars. Commands. Crossing currents. Ferry angle. Entering and exiting eddies. Theoretical and practical class. Boat maintenance and repair. 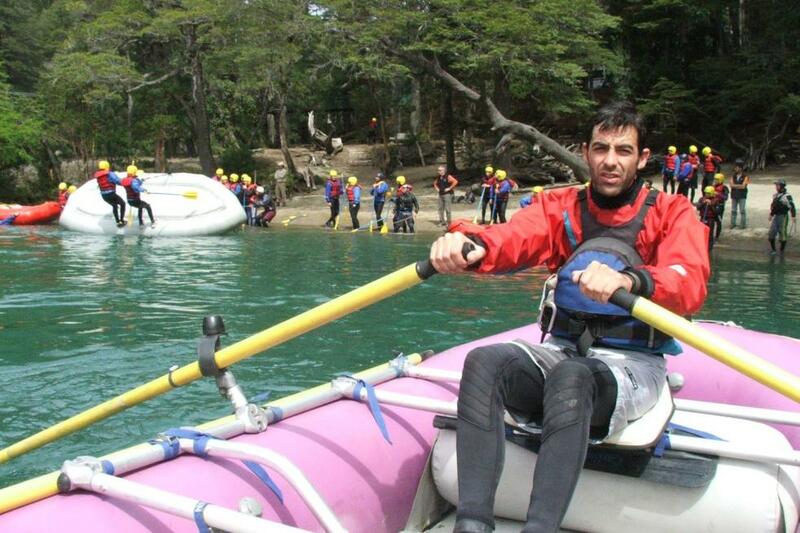 8 p.m.: Return to Bariloche. 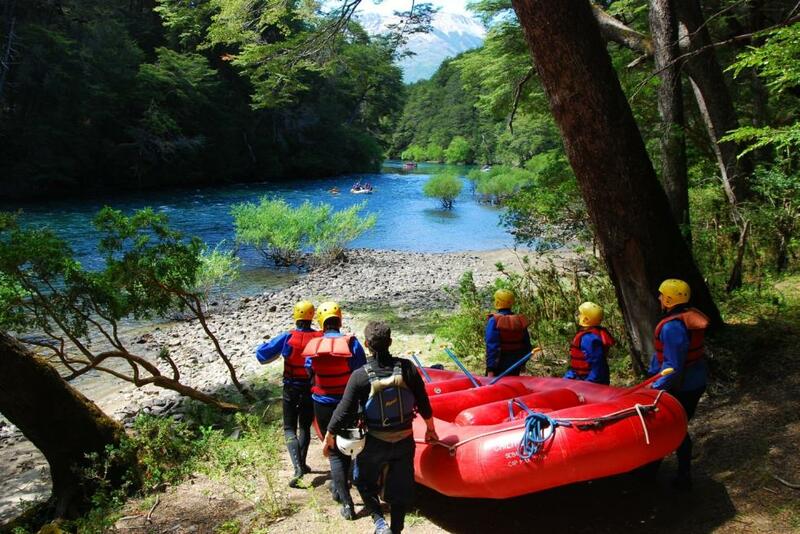 9:00 a.m.: Departure from Extremo Sur to the Manso River. Theoretical and practical class. Preparing the boat. 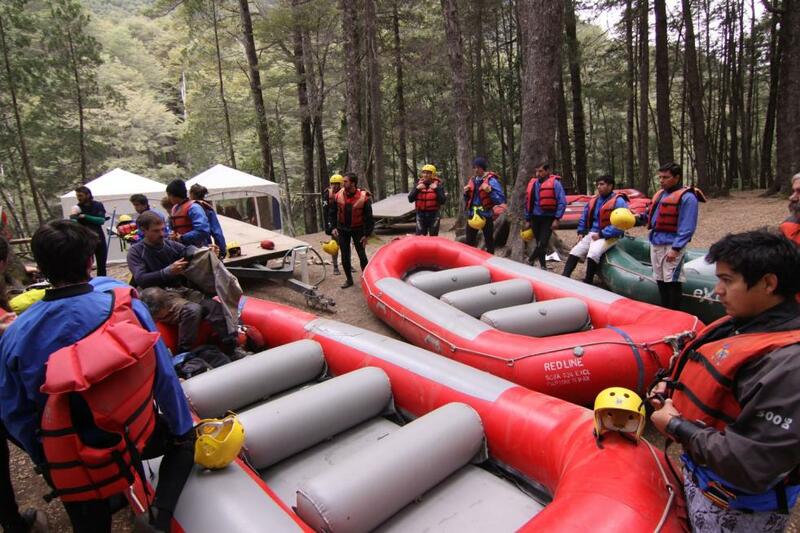 Inflating, loading and tying up boats. 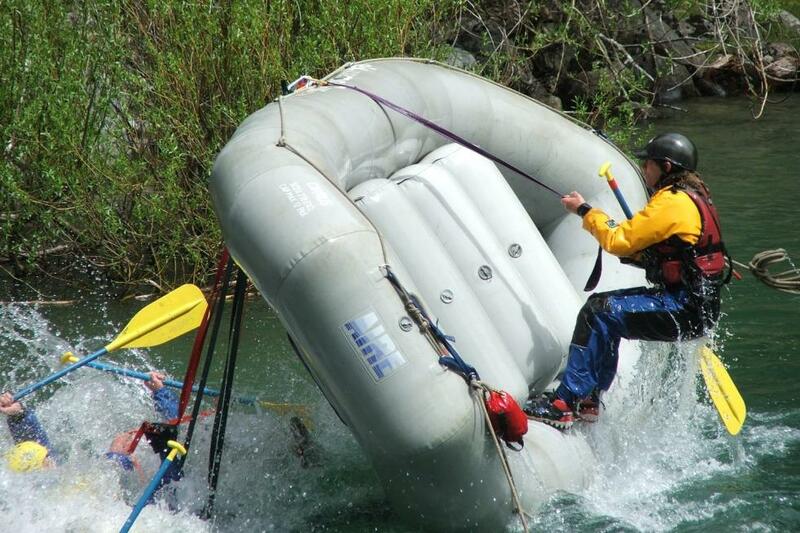 Common situations and accidents in white waters. High-side, flip. 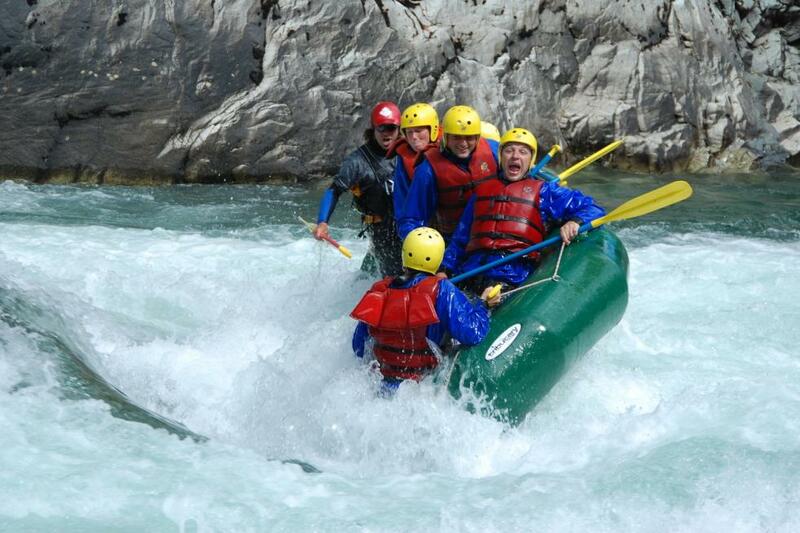 Descent of the Manso River. Evaluation and discussion of the topics dealt with during the course. Vacancies for the course are limited. We suggest you reserve yours in advance. You must have perfect attendance to receive the participation certificate.